Kamar Baldwin stuffed the stat sheet (17 points, 14 rebounds, five assists) in Butler’s comeback win over DePaul 87-69. Jimmy Lafakis/Collegian file photo. After the Butler men’s basketball team lost four out of its last five games, the Butler faithful had begun to get antsy with their team. Having to play on the road didn’t make Butler fans feel good, either. Butler had lost its first four true road games of the year. It wouldn’t be a Butler basketball game without a commentator not knowing what they’re talking about. Uh yeah sure, if you’re driving 120 mph all the way into the heart of downtown. And it was the Bulldogs who took the first punch to the mouth, falling behind 12-2. 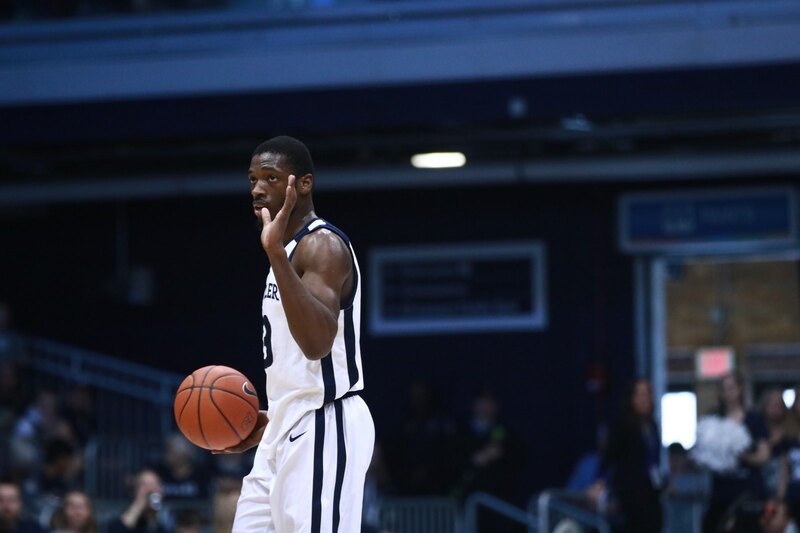 After being down at half, it was a pair of Aaron Thompson threes (not a typo) that sparked the Butler run. Aaron Thompson with back-to-back 3's. Not a great shooter yet, but he can at least make the open ones now, and those were both really open. And it was the offense that performed in the second half. A welcome sight for a Butler team that has struggled mightily on that side of the court as of late. #Butler shot 71% in a 51-point second half. Their play in the second half even impressed people that watch them every game. And after some games of extreme inefficiency, Kamar Baldwin shot 8-11 from the field, to go along with 14 rebounds and 5 assists. And after a struggling season so far, it was a welcome comfortable win for a Bulldogs team looking to find its rhythm. And the blue jerseys are undefeated!! Look to see those some more. Butler plays next at home against the St. John’s Red Storm on Saturday at 4:30 on FOX. Did no one notice the defense by Nate Fowler?